Ladies and gentlemen, it's that time of year again. Time for Apples annual September Keynote event. Every year, during this event, Apple shows off all of the new stuff that they have been working on since the previous years event. Much like previous events, there are a few things we can expect off the bat. However, this year could possibly have something that we've not seen from Apple before, as they may join the club of companies offering Wearable technology. 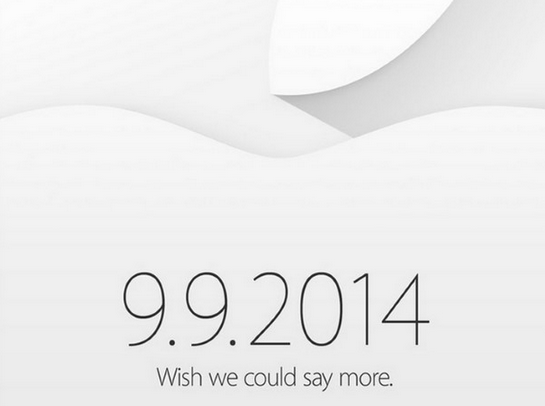 The event will be held on September 9th, 2014. Apple now plans to unveil a new wearable alongside the two next-generation iPhones we told you the company will debut on September 9th… The new device will, predictably, make good use of Apple’s HealthKit health and fitness platform. It will also — predictably — make good use of HomeKit, the company’s new framework for controlling connected devices. No official specifications have been shared about what the wearable device will be capable of. However, according to other reports, the device will have a 2.5" screen and support wireless charging. Along with the two iPhones, this years Keynote event looks like it will definitely be interesting. When more information becomes available regarding what this wearable device is, I'll be sure to update this post. However, when the event comes around, be sure to check the Se7enSins Twitter for on the spot updates. How many of you Se7enSins members fancy sporting what could be the iWatch?